The word Physiotherapy is made up of two words – Physio (Physical Agents) and Therapy (Treatment), therefore it can be defined as branch of medical science in which diseases/disabilities are treated with the help of physical means/agents e.g. exercise, electrical equipment like Muscle Stimulator, SWD etc, different types of rays like Infra-red, Ultraviolet rays etc. Physiotherapy is a clinical health science and profession that aims to rehabilitate and improve people with movement disorders by using evidence-based, natural methods such as exercise, motivation, adapted equipment, education and advocacy. 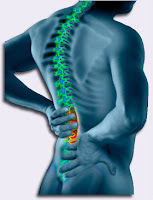 Practiced by physiotherapists or physical therapists, it is considered within the realm of conventional medicine. Methods for diagnosis can vary, depending on the situation, though physical examinations and testing are often employed for evaluation. Treatments can include a wide range of practices, including massage, applications of heat or electricity, and assistance with using mobility devices such as walkers and crutches. Physiotherapy is a healthcare profession which deals with movement disorders of the body arising from certain conditions or illnesses. Treatment through physiotherapy can also be more efficient and cheap than other traditional medication or therapy. One of the main advantages of Physiotherapy is it has less or no side effect as compared to other systems of treatment. Because of its less side effects Physiotherapy has become popular among the intellectual people of our society. The person who performs physiotherapy profession is called a Physiotherapist/Physical therapist or physio for short. Physiotherapists study medical science subjects such as anatomy, neuroscience and physiology to develop skills and attitudes necessary for health education and prevention, diagnosis, treatment and rehabilitation of patients with physical disorders and disabilities. Physiotherapists, who are known as physical therapists in America, work all around the world. They are the experts in the examination and treatment of musculoskeletal, neuromuscular and cardiothoracic problems that affect peoples’ abilities to move the way they want and function as well as they want in their daily lives. Physiotherapists assess, diagnose and treat people whose movement is restricted by injury, illness or age. Individuals in the physiotherapy career study their patient's history and physical condition in dealing with the movement disorders. There is immense scope for a physiotherapist not only in India but abroad also. A trained physio can get employment in private hospitals, clinics, govt. and private rehabilitation centers, handicapped centers and schools. Physiotherapists can also opt for teaching, while those with adequate capital can establish private clinics of their own. The demand for physiotherapists in the country as well as abroad is immense. They are in great demand in USA, Canada and Australia and in Middle East. A person with science background can opt for a course in physiotherapy. A candidate who has passed the 10+2 examination with physics, chemistry and biology can go for such a course. The passing percentage in 10+2 should be at least 50% and varies from institute to institute. The top institutes consider the score of CET (Common entrance examination), while some have their own selection procedure. Various courses in physiotherapy are Bachelor of Physiotherapy (BPT) and Master of Physiotherapy (MPT). The basic eligibility for BPT courses is 10+2 passed or equivalent examination with physics, chemistry, biology and English. At least 50% of marks should be secured in each of these subjects. Admission to BPT program is generally made on the basis of entrance examination conducted both at state and national level. BPT course is of 3 and ½ years – 4 and ½ years of duration. There is also a compulsory rotatory internship after the completion of the course. One who wishes to continue his/her study further can take admission into Master of Physiotherapy (MPT) program which is of two years duration. In this case he/she should have completed BPT course from any recognized institute/university. A physiotherapist can expect a salary of Rs. 5000 to 10000 per month to start with. If you choose your career as a physiotherapist in a hospital, you can something around Rs. 15000 to 25000 per month, depending on your skills and of course the level of hospital. The income of a freelance physiotherapist can be much higher than this depending on the clientele. A physio doing private practice can easily get Rs. 500/- to 2000/- per sitting. Yes! Finally someone writes about first time home buyer bad credit loan.